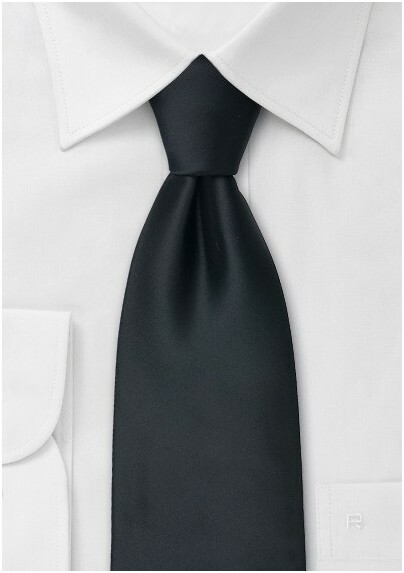 Add a punch of modern day sophistication to your wardrobe with this bold and beautiful solid black tie. 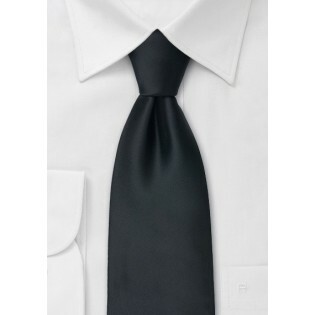 The simplicity and versatility of a solid black tie is noteworthy and commendable. Whether you are going formal or casual, the all black tie is the right accessory for the occasion. Create a smart and savvy look by teaming this tie with a check patterned dress shirt in white and black, a snug fitting black blazer and your favorite pair of jeans. Crafted from a man made micro fiber that is resistant to stains and wrinkles.